This picture below is where it started for me. 11 months ago I took a trip to Yellowstone National Park, Muir Woods, LA, the Grand Canyon, and then headed home. 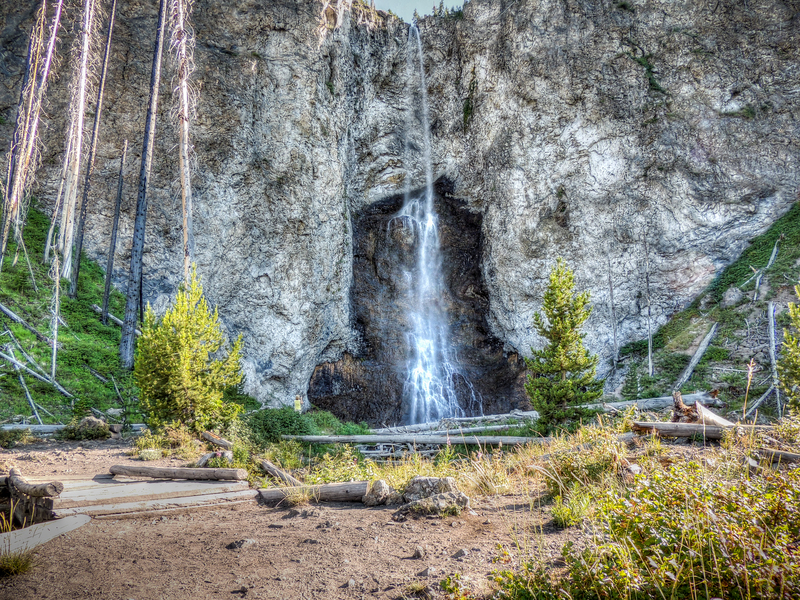 This is a picture of Fairy Falls. I had THAT CAMERA (a P&S Nikon P510 w/42x zoom lens). The woman in the photo left the scene not long after taking the picture and I had the entire area to myself. I took my time. There was no rush. My vacation just began! Ever since then I hadn’t stopped learning. But there’s so much more to learn. I’m really just at the beginning of this journey. But at the time of taking this photo I do remember remarking to myself how the sun at about the time of the Summer Solstice would rise far enough north (I hope!) to light the falls directly. So far I still think I’m right. Google Earth and other tools make me think I might be right. But there aren’t many photographs of this fall at opportunistic moments. It’s time I find out how much I really have learned about this photography thing! On Sunday morning I’ll be there. It’s the start of a two week vacation. It will be awesome! This also means that starting Friday, updates will be spars as I will be traveling and in very wi-fi unfriendly places. I just love how this city comes out for the unofficial start to summer! This is typical of Chicago when the summer comes around. So many people find a way to get out and enjoy it. A few reasons why I like this photo: Aside from the iconic skyline view, you have a lot of people jogging and walking on the bike path / pedway. But you also have a very pretty girl walking with some of her male friends. And in the background, you can see a guy with his head turned around way to much to get a glimpse of her! Other photographic notes: I used my 20mm prime lens and this was a vertorama of three images. Processing was done in Photoshop and lightroom. I did adjust for perspective lines using Camera Raw.